The definition of directories has expanded during my career. In 1992 when I was in the military (before everyone had a computer on their desk), I would have said it was a book that listed individuals or organizations alphabetically, or thematically, with details such as names, addresses, and telephone numbers. The military used to have personnel directories that were five inches thick and daunting to peruse. I used to cringe when I had to find an individual’s phone number. Fast forward 20+ years, and viewed from a technology angle, a directory is a file system cataloging structure that contains references to other computer files, and possibly other directories. 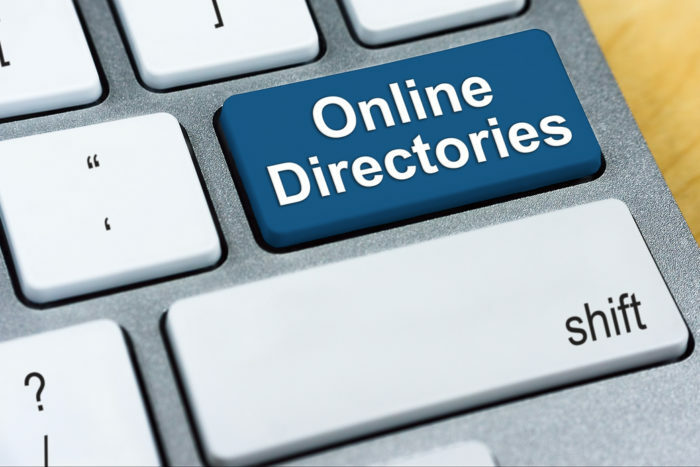 Let’s take a look at some popular directories and see how they can help us find those hidden treasures. Everyone’s favorite go-to site, LinkedIn, has a member directory. I did a simple search for “LinkedIn directory,” and this is what returned. Yes, it is an overwhelming amount of numbers but what do those lead to? If you notice, I initially ran across a URL which had directory/people. Would I be able to use that for sourcing? I decided to do an X-ray into LinkedIn’s directory to see what I could uncover. I want everyone I could find, so I used a base Boolean site:linked.com/directory/people string and added keywords to it. 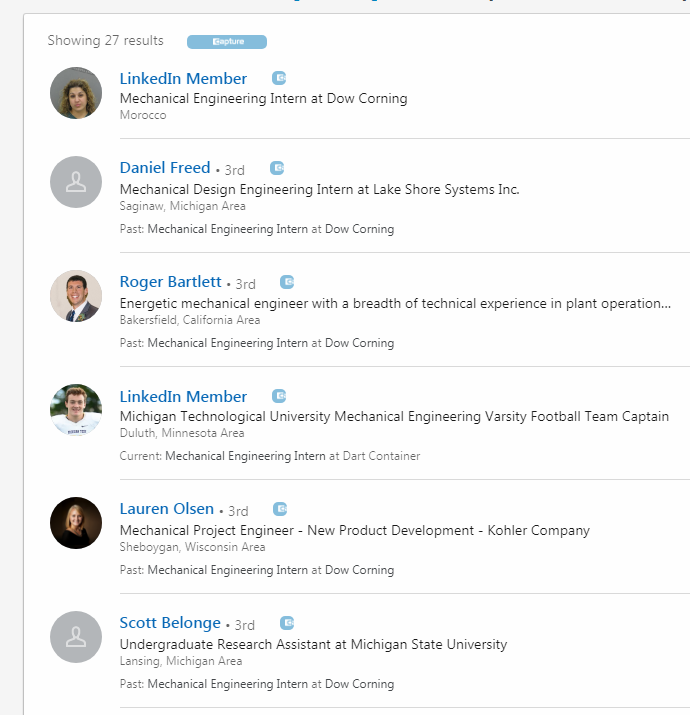 LinkedIn has a title directory by “companies.” Using site:linkedin.com/directory/title-companies “mechanical engineer,” led me to 4250 results. I like this result because I can also take note of other titles for individuals at Dow for future use. 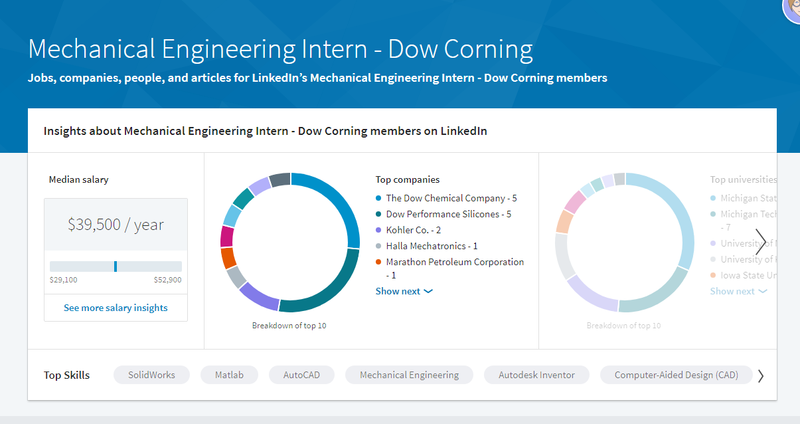 I chose “Dow Corning – Mechanical Engineering Intern,” in my results. Selecting this option led me to some insight about salary, top companies for mechanical engineering interns, top universities where they might be found and top skills. The best part about this method of search is that it leads me to mechanical engineering intern profiles that are on LinkedIn. 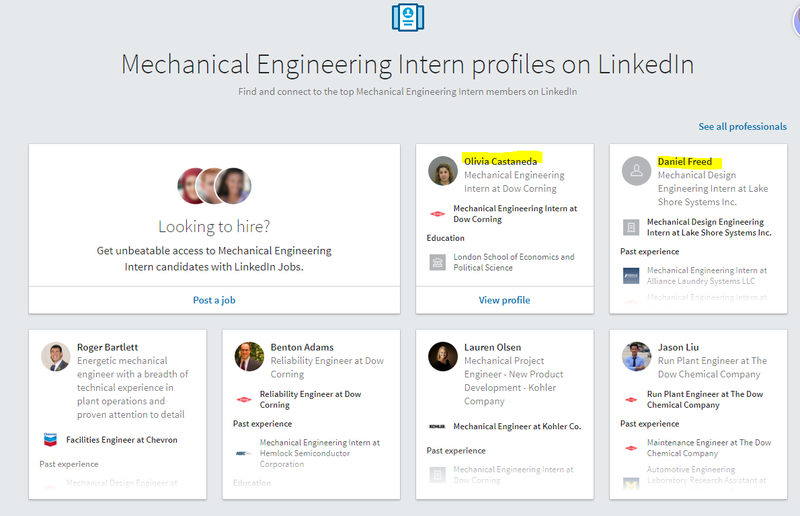 Choosing “See all professionals,” led me to 27 results for current and past mechanical engineering interns. In computing, a directory is similar to a filing system or cabinet that contains other computer files, and possibly other directories. For example, the C: drive on your computer is the “Parent.” Parent directory (main folder) is a directory above another directory or “Child” (sub-folders). You can do X-ray searches to find documents on the Internet associated with computer directories. For example, in “directories,” you can find indexes, which are methods of sorting data by creating keywords or a listing of the data. When one refers to the Internet and index, it would be the file name such as index.htm, index.html or index.php. 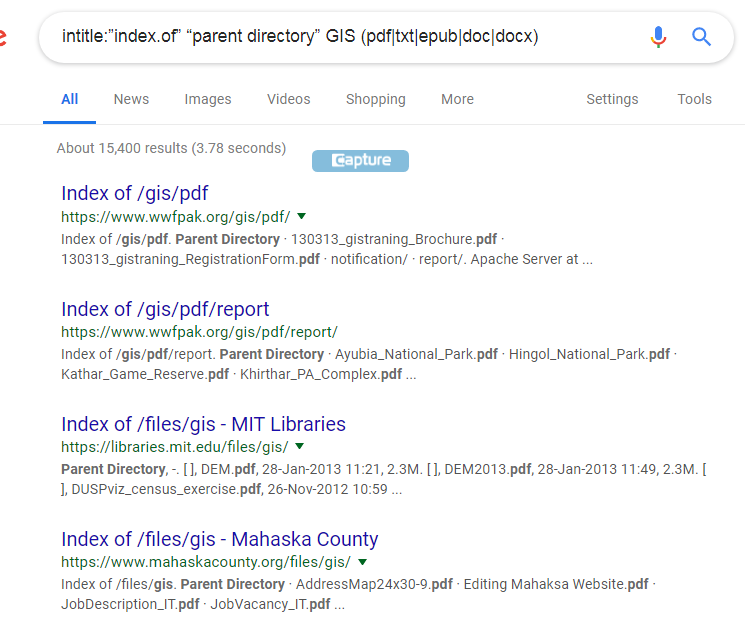 I wanted to find an index of a parent directory that would have geographic information systems (GIS) experts for a search, and find them in a document, such as Adobe PDF (pdf), text files (txt), electronic publications (epub) or Word documents (doc) and (docx). 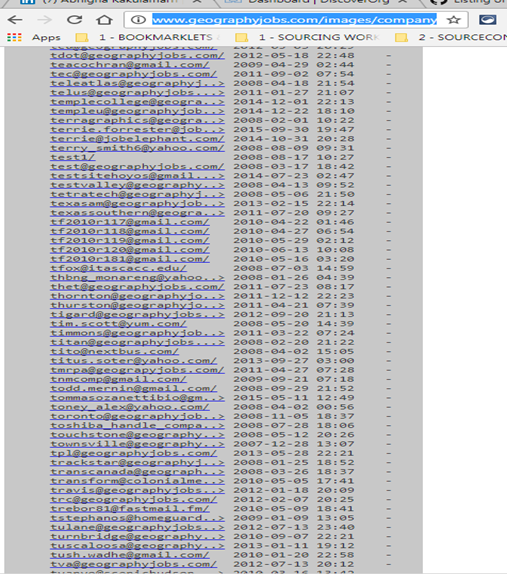 My search string intitle:”index.of” “parent directory” GIS (pdf|txt|epub|doc|docx) yielded over 15,000 results. 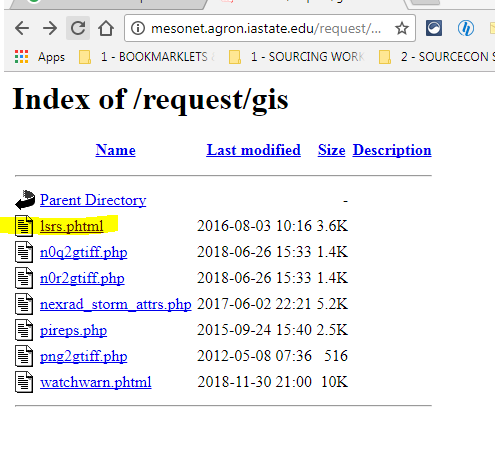 One of the results I pulled led me to an index of requests related to GIS. 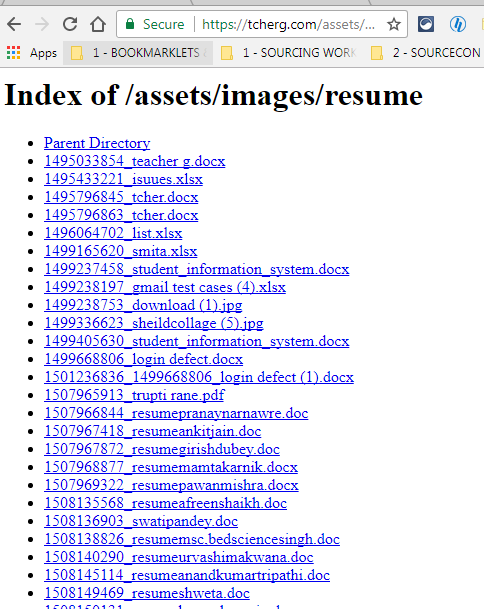 Looking in the parent directory, I see some items, and I choose the HTML file to see what it leads me to. 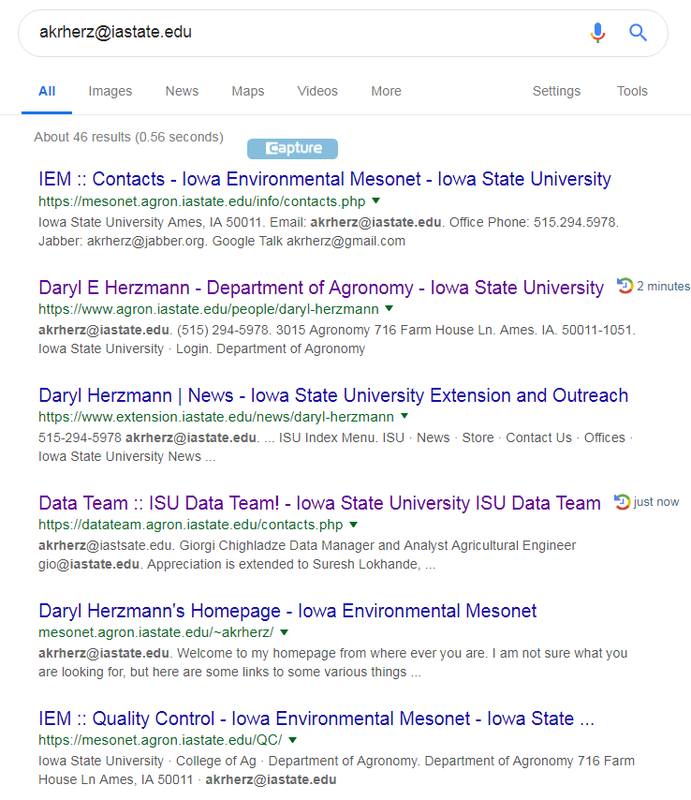 My result led me to the Iowa State University Archived Local Storm Reports and an individual’s contact information, which I copied the email address and did a Google search to find he was a System Analyst in one of the departments. Searching for his email address led me to other potential leads, which could increase my chances of a placement. I added the terms “size,” “last modified” and “description” to see if I could narrow my search, and I ended up with over 13,000 results. Additionally, I did not want my results to have specific extension in the URL – jsp, php, html, aspx, htm, cf, shtm, ebooks or ebook, nor did I want to have results from the domain .info, as they would be too generic. 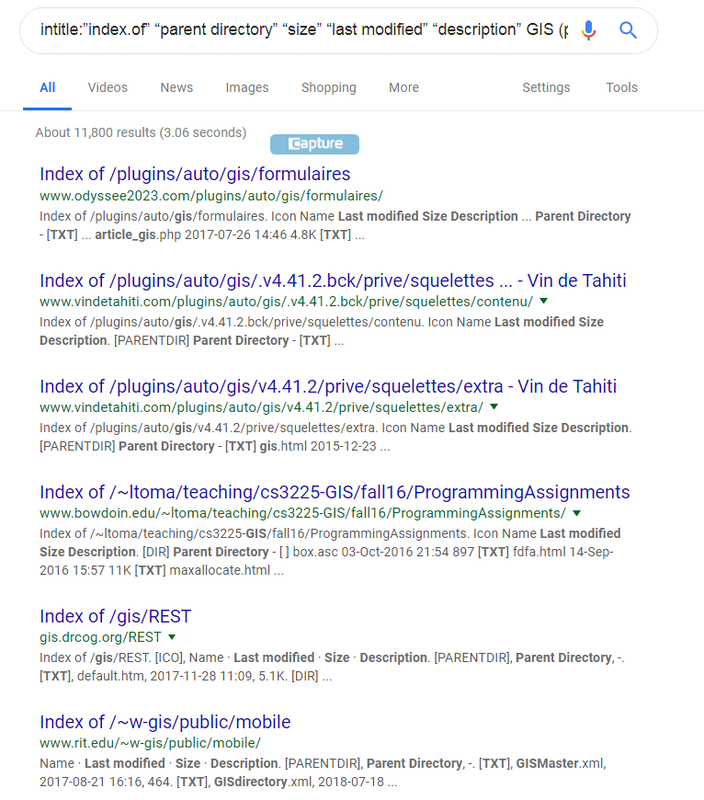 Using the Boolean string intitle:”index.of” “parent directory” “size” “last modified” “description” GIS (pdf|txt|epub|doc|docx) -inurl:(jsp|php|html|aspx|htm|cf|shtml|ebooks|ebook) -site:.info, yielded me 11,800 results. One of my results was the parent directory for Geographyjobs.com. Geographyjobs.com focuses on job opportunities for self-described “geographers” in the environment, urban planning, transportation planning, GIS, remote sensing, economic development, housing, emergency planning areas and with various types of research and education backgrounds. 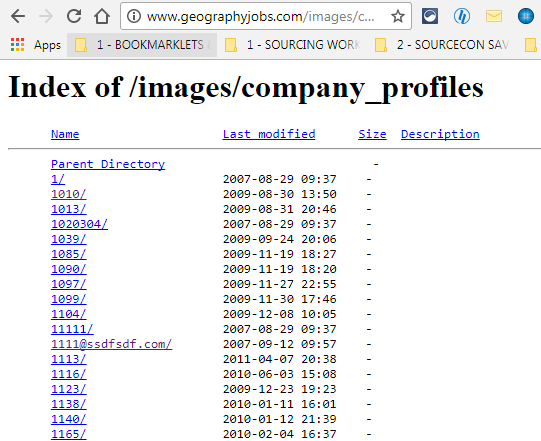 The results had an index of images of company profiles. Scrolling down further in the results led me to over 2000 leads (email addresses), which I could research further to get the names of the owner of the email. 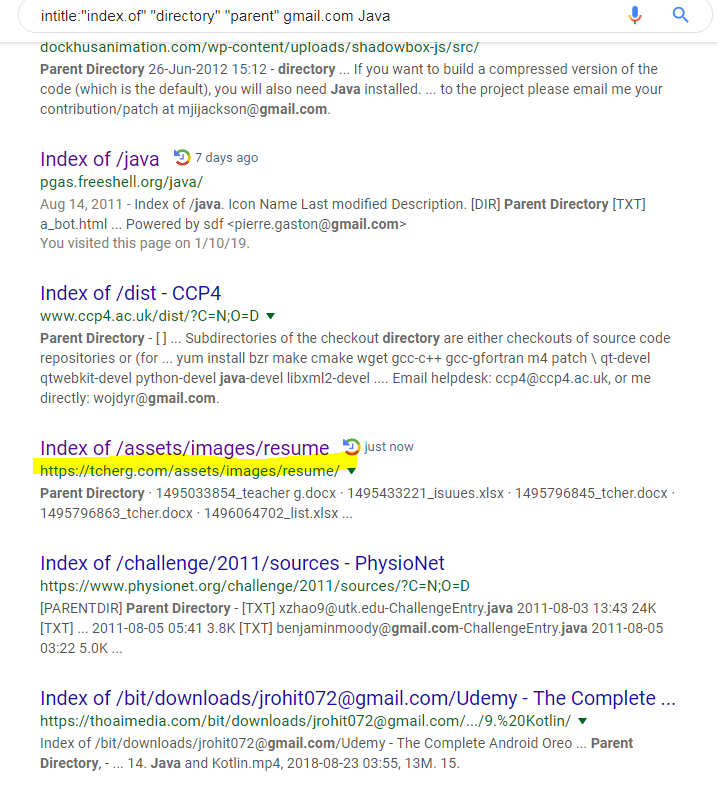 What If I wanted to find a Java expert who has a Gmail account in an index of a parent directory? I would use the Boolean string intitle:”index.of” “directory” “parent” gmail.com Java. Thirty-two results were returned. I looked at one of them – the one with resume in it, hoping it would be gold – resumes! If I recruited Java experts in India, I would have had over 700 resumes, which I could use to find that perfect expert. Web directories or online directories are great for finding leads. Directories on the worldwide web typically list entries on individuals or businesses and their contact information. Do you have a search for a CPA for one of the roles you are trying to fill? Use the Boolean string (directory | contact | list) (inurl:member | intitle:member) to find members in a directory or contact list who are CPAs. 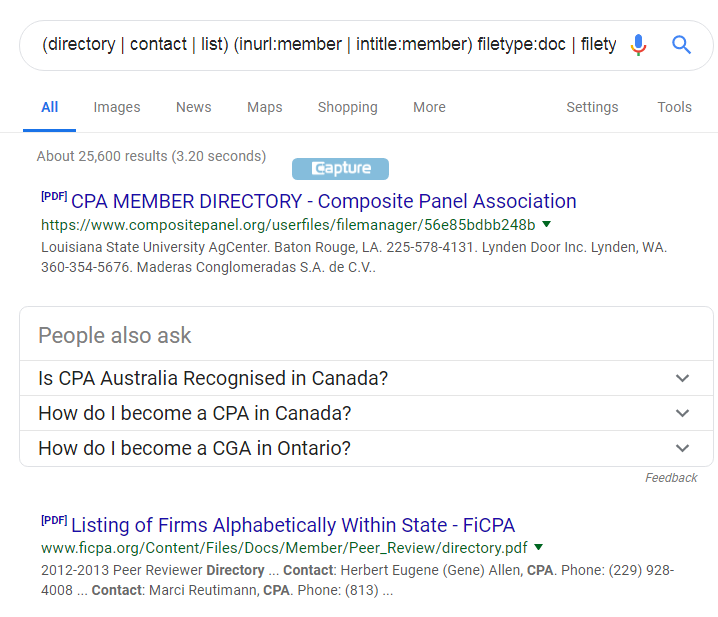 Example: (directory | contact | list) (inurl:member | intitle:member) (CPA | “Certified Public Accountant”) resulted in 283,000 potential directories to review. Some sites require you to be members of the organization. Reviewing the Missouri Society of CPAs, I can X-ray into the site for those with emails as a workaround. Use the string site:mocpa.org (gmail.com | yahoo.com | icloud.com | *.com) to find potential leads in the 279 results that were returned. 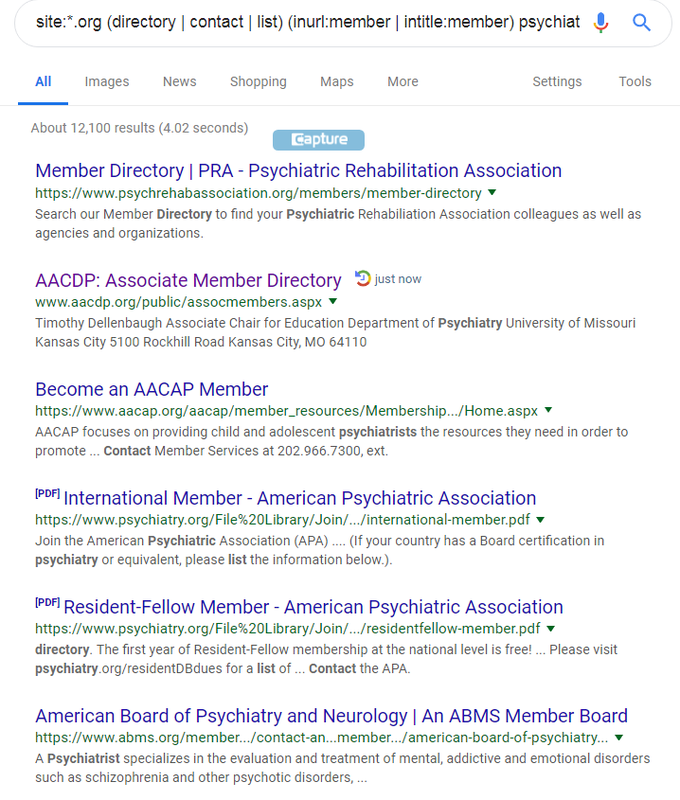 Searching for organizations and their directories, I used site:*.org (directory | contact | list) (inurl:member | intitle:member) and got a ton of results, but I wanted to narrow it down to directories for my particular search of psychiatry professionals. 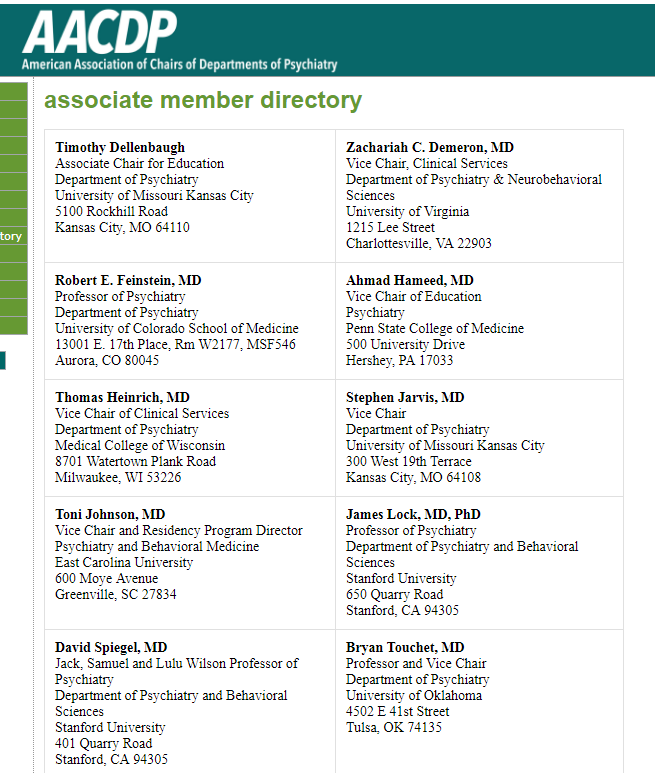 The American Association of Chairs of Departments of Psychiatry (AACDP) led me to the associate member directory of professors and other C-level professionals for potential leads. 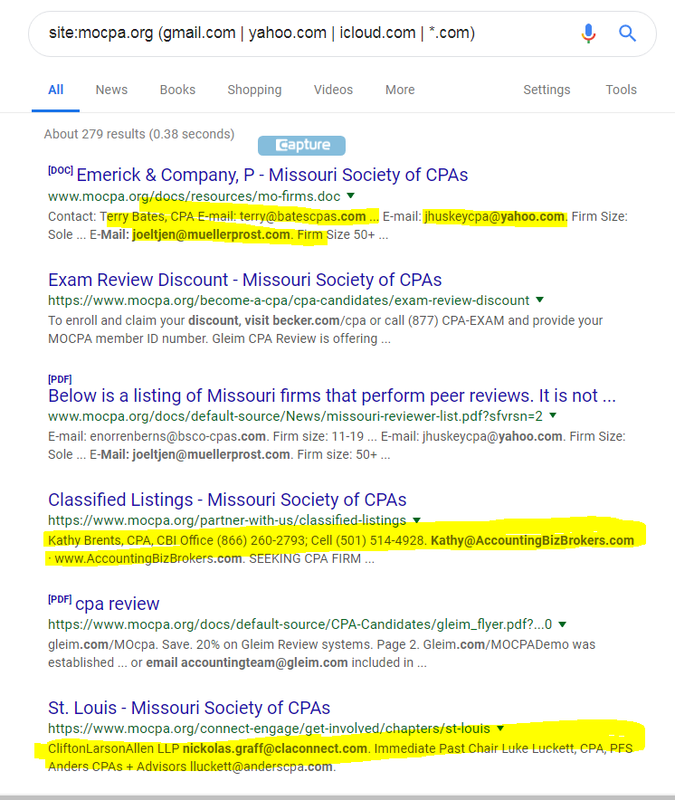 Say you wanted to find CPAs with email addresses, you could add (CPA | “certified public accountant”) to the string, and it yields 14,200 results. I found that using an X-ray search, such as site:*.com “-member-directory” “@gmail.com” (CPA | “certified public accountant”), can be helpful. 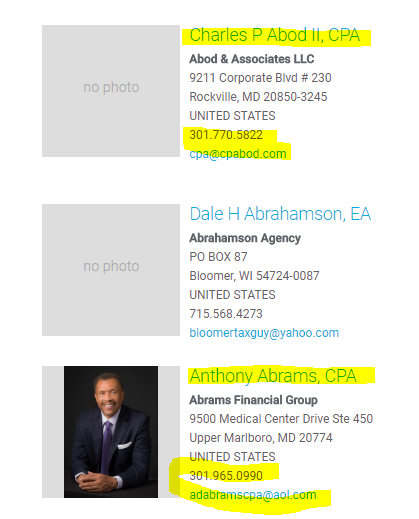 The first result led me to the National Association of Tax Professionals (NATP) which includes CPAs in its membership directory. Scrolling through the results, you can see emails and phone numbers as well – a bonus for sure! Directories can come in various file types, including Word documents, Excel spreadsheets, PDF and FTP files. Try adding keywords to (directory | contact | list) (inurl:member | intitle:member) filetype:doc | filetype:docx | filetype:pdf | filetype:ftp). 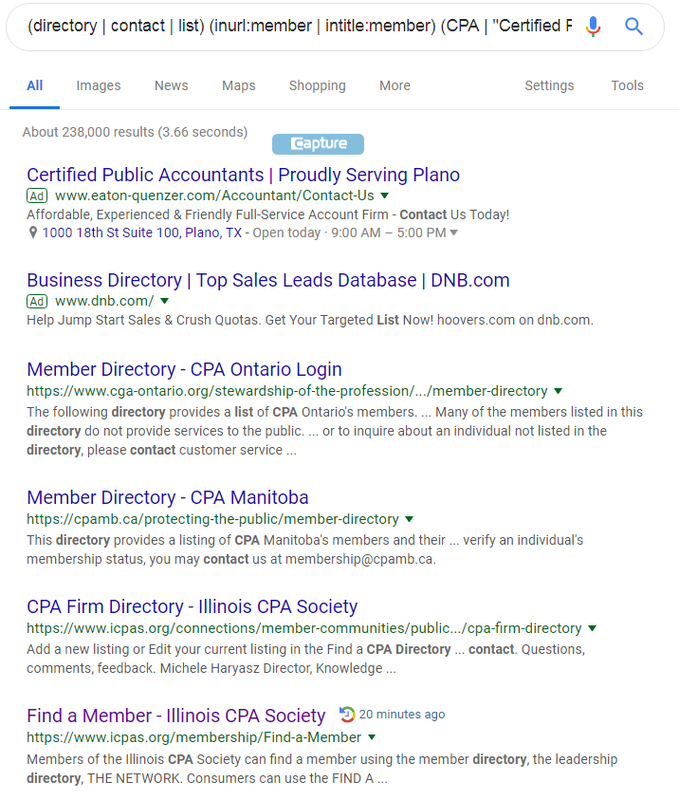 660,000 results were returned before I added keywords relevant to my search for CPAs. 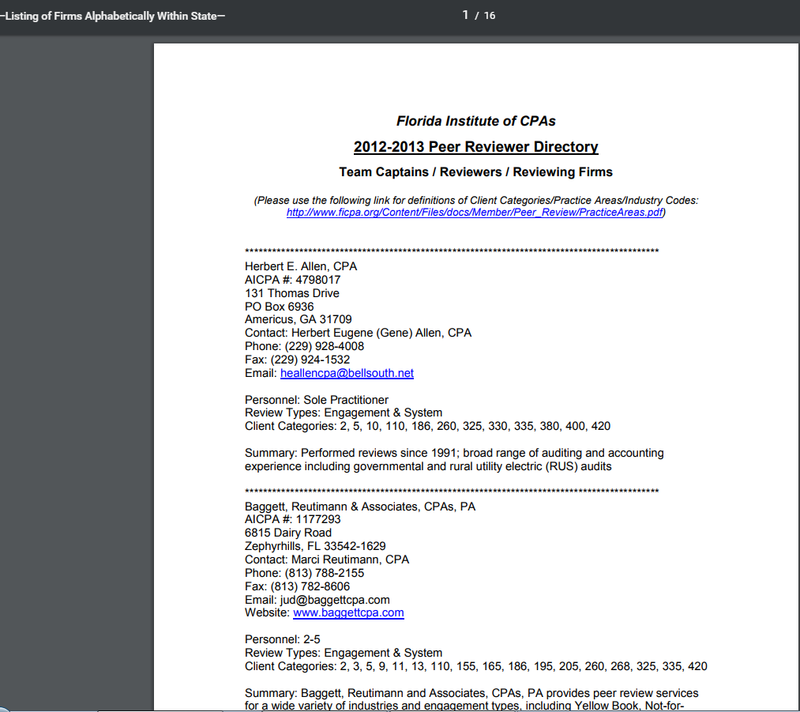 The second result led me to a 16-page document with potential leads who were members of the Florida Institute of CPAs in 2012 – 2013. They might still be relevant in 2019. Finding individuals change as technology advances, so do not hesitate to use old or new methods to find those perfect leads. If Dr. Henry Walton “Indiana” Jones can discover hidden treasures during his many adventures, so can you.